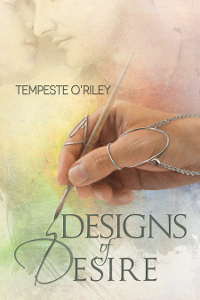 Tempeste O’Riley first novel, Designs of Desire, released on Monday from Dreamspinner Press. She’s here today to share a little about her main character, James, and his favorite spots in his city of Milwaukee, Wisconsin. She’s also having a contest to win a copy of Designs of Desire, so after you’re done reading, go HERE to enter! When I sat down to write Designs of Desire I started with the characters and story, but I quickly ran into the problem of needing places in “town” for things like dates or meetings. I didn’t want everything to be “real” but did want some reality for my guys, so where did I pick to set DoD? Milwaukee, WI, of course! 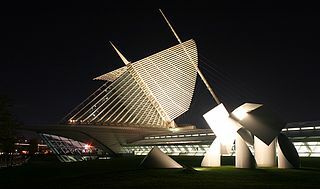 Highlights of the building are the magnificent cathedral-like space of Windhover Hall, with a vaulted a 90-foot-high glass ceiling; the Burke Brise Soleil, a moveable sunscreen with a 217-foot wingspan that unfolds and folds twice daily; and the Reiman Bridge, a pedestrian suspension bridge that connects the Museum to the city. Seriously, what’s not to love? Just watching it from outside is awe inspiring, much less the great works inside! Milwaukee Art Museum. Image by Cburnett from Wikipeida Commons. The German Renaissance Revival styled building, with a soaring clock tower, held the tallest building title until 1899. It was among the opening scenes of the television sitcom “Laverne and Shirley.” The Milwaukee City Hall is now a National Historic Landmark and was used as the symbol Milwaukee. It has the distinction of being the world’s largest four-faced clock according to the Guinness Book of World Records. The tower made an appearance on the NASCAR Busch Series race car of Mike Bliss in 2004. 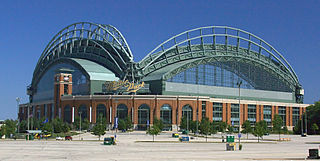 Miller Park is a baseball park that is home to the Milwaukee Brewers and features a fan-shaped convertible roof that can be opened or closed as conditions dictate. It’s fascinating to view as you pass by on I-94. Miller Park. Image by Greg Hume from Wikipedia Commons. 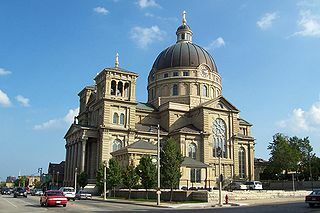 The Basilica of St. Josaphat is an opulent minor basilica located in the Lincoln Village section of Milwaukee. The church has one of the largest copper domes in the world. Basilica of St. Josaphat. Image from Wikipedia Commons. Sadly, none of these sites made it into the story, but they still inspire and make proud those that live there. Description: Artist James Bryant has forearm crutches in every color from rainbow for fun to sleek black for business. He even has a pair with more paint splatters than metal. After his family’s rejection and abuse from a man he thought loved him, James only just gets through the day by painting. He lives in constant fear that he’s not worthy of anything, let alone love. 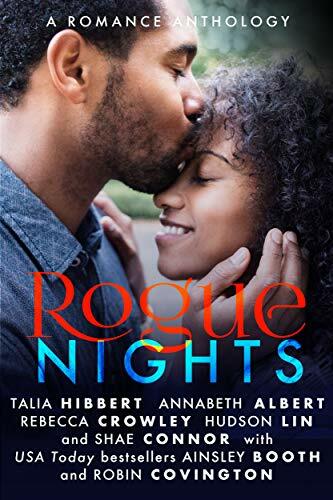 About the Author: Tempeste O’Riley is an out and proud omnisexual / bi-woman whose best friend growing up had the courage to do what she couldn’t–defy the hate and come out. He has been her hero ever since. Tempe is a hopeless romantic that loves strong relationships and happily-ever-afters. Though new to writing M/M, she has done many things in her life, though writing has always drawn her back–no matter what else life has thrown her way. She counts her friends, family, and Muse as her greatest blessings in life. She lives in Wisconsin with her children, reading, writing, and enjoying life. This entry was posted in author, guest blog, Tempest O'Riley. Bookmark the permalink. Wow! This Milwaukee native has been to every one of those places and got such a kick out of this post. 😀 I love that the Basilica was made out of stone salvaged from a Federal building in Chicago and bought cheap. Milwaukee frugality at its finest. Now that I know the book takes place in Milwaukee, I HAVE to read it next! (My TBR list qualifies me as a hoarder.) Great post. I’ve never been! Love the different kinds of architecture, especially since I majored in Art History, I’ve seen a lot of architecture! Congrats on the new book! Both book and Milwaukee sound intriguing. Great post.